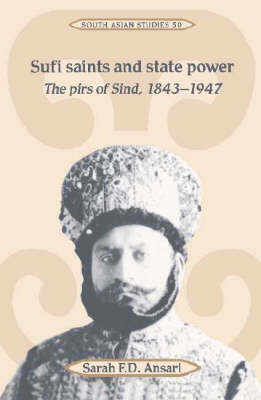 In this book, Dr Sarah Ansari examines the system of political control constructed by the British in Sind between 1843 and 1947. In particular, she explores the part of the local Muslim elite, the pirs or hereditary sufi saints. Using a wealth of historical material and in depth interviews, the author looks at the development of the institution of the pir, its power base and the mechanics of the system of control into which the pirs were drawn. The overall success of the political system depended on the willingness of the elite to participate and Dr Ansari argues that it did indeed work in Sind. This enabled the British to govern while allowing the pirs to adapt to colonial rule, and later independence, without serious damage to their interests. The author demonstrates that only in the heightened nationalist atmosphere of the 1940s did the system break down.